Every fall the new school year buzz spreads through the halls of RHS. This year the school has been filled with changes both positive and negative. Students seem ecstatic about the return of non-wheat pasta and pizza doughs, but seem displeased about the fishbowl gaining lifeless shades. One change that seems to be bringing the school together is the celebration of our school’s new Top Dog Club. Each Friday, two seniors, are chosen by Principal John Harrison and the RHS staff for their leadership throughout the school and community. They are presented with a t-shirt, a loudspeaker announcement detailing their accomplishments, and other rewards such as a sports pass to attend school sporting events at no cost for the entire school year. 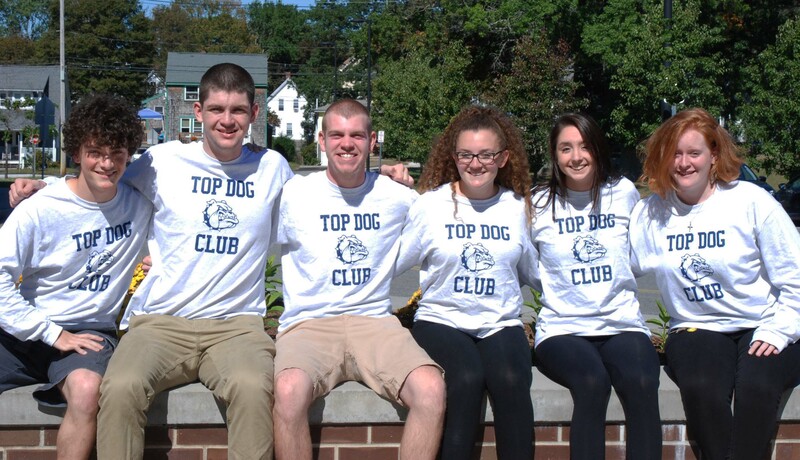 The Top Dog Club was created for several reasons. First, Mr. Harrison and the RHS faculty agreed that Rockland High has really great students who are sometimes not recognized. Also, Mr. Harrison hopes that with these senior leaders being identified, freshmen will look up to them, not just for being “big bad seniors,” but rather for their achievements. “I’m not trying to pick just brainiacs and athletes but key members of the community,” Mr. Harrison said. Another thing Mr. Harrison wants people to know is he doesn’t choose the weekly Top Dogs based on “best Top Dog to worst Top Dog.” He explained the Top Dogs of the week are usually based on a theme. For example, the first week’s inductees, Hannah Murphy and Chris Penney, both led the way to a successful start to the school year with Back to School Night, and also by setting up the Unified Kickball game. Hannah Murphy says she thinks the Top Dog program provides motivation for students. Besides Murphy and Penney, the latest inductees are Sydney McKenna, Ronan McNally, Aiden Glennon and Eden Dalton, Natalie Draicchio and Jonathan Baar. 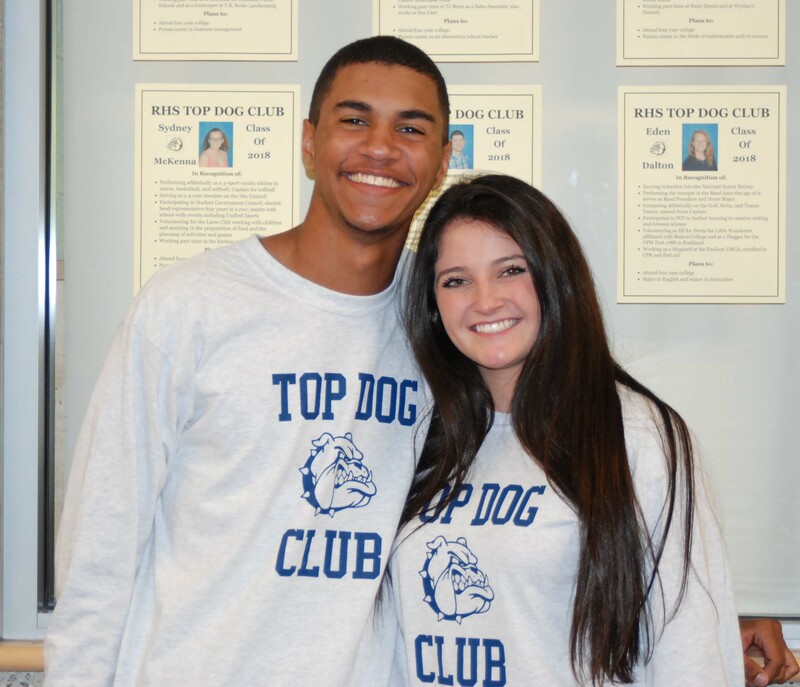 Overall, the Top Dog Club seeks to inspire incoming Bulldogs to strive for greatness, whether it’s as a student, an athlete, a helpful member of the school community, a leader of a club, or any of these combined. It tells underclassmen that if you work hard and you’re proud of your community, you’ll have the ability to inspire others.